Ron Ragan began his canmaking career in 1975 as an apprentice millwright at the Ball Metal Container facility, where cans were only produced at 600 per minute. Ragan worked on a variety of projects with a focus on Asia and the Pacific Rim; this is where he and Rudi Roeslein first crossed paths. Having worked his way through various can line projects with Ball Metal, in 1986, Ragan began working with Rudi Roeslein on the first of three can lines to be designed and installed in mainland China. “I can’t think of anyone more deserving of this award and honor. Ron has spent his life promoting this amazing industry and I can’t thank him enough for all the work he has done to grow our industry and my company. Ron brings honor, dignity, and respect to his family name wherever he goes and we can leave no greater legacy than to be respected and admired by our peers,” said Rudi Roeslein, Chairman & CEO for Roeslein & Associates. In 2003, Ron Ragan took on a management position at Roeslein & Associates; which at the time had only 20 employees and one office. Today, Roeslein & Associates has over 700 employees across 7 global offices and Ragan continues to play an instrumental role. He has assisted in growing Roeslein’s integration services, product offerings, and sustaining and building client relationships throughout the industry. His extraordinary contributions throughout his career have not only helped Roeslein & Associates grow its global footprint and business, but also helped shape the beverage can manufacturing industry. “In my 25 plus years of knowing Ron as a competitor, customer and co-worker, I will cherish the lessons he has taught me. Ron has played a valuable role in my time at Roeslein and I’ve thoroughly enjoyed working with him. 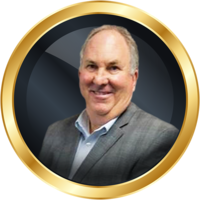 Ron is extremely deserving of this award and I thank him for all the hard work and dedication he has put into our company and the industry,” said Robert Hayes, Sales Manager/Product Handling Specialist for Roeslein & Associates. In addition to Ragan, Don Vicente Lopez Rodea, President of Conservas La Costena, and Rick Clendenning, President of INX International Ink Company, also received the Lifetime Achievement Award.